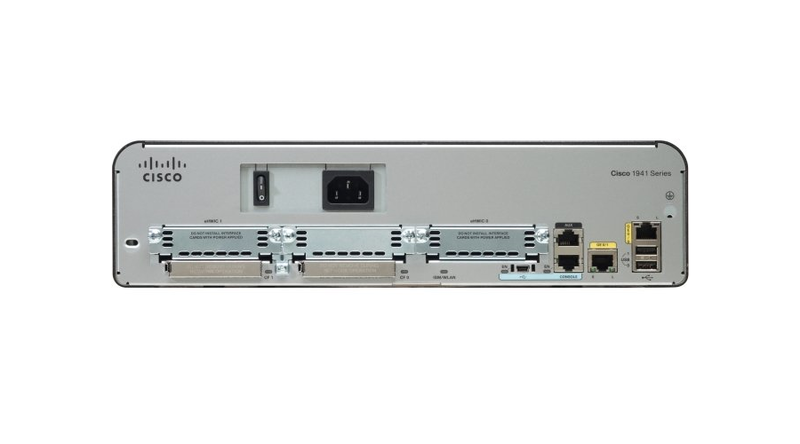 Cisco 1900 Series Integrated Services Routers build on 25 years of Cisco innovation and product leadership. The new platforms are architected to enable the next phase of branch-office evolution, providing rich media collaboration and virtualization to the branch while maximizing operational cost savings The Integrated Services Routers Generation 2 platforms are future-enabled with multi-core CPUs, Gigabit Ethernet switching with enhanced POE, and new energy monitoring and control capabilities while enhancing overall system performance. IPv4, IPv6, static routes, Open Shortest Path First (OSPF), Enhanced IGRP (EIGRP), Border Gateway Protocol (BGP), BGP Router Reflector, Intermediate System-to-Intermediate System (IS-IS), Multicast Internet Group Management Protocol (IGMPv3) Protocol Independent Multicast sparse mode (PIM SM), PIM Source Specific Multicast (SSM), Distance Vector Multicast Routing Protocol (DVMRP), IPSec, Generic Routing Encapsulation (GRE), Bi-Directional Forwarding Detection (BVD), IPv4-to-IPv6 Multicast, MPLS, L2TPv3, 802.1ag, 802.3ah, L2 and L3 VPN. QoS, Class-Based Weighted Fair Queuing (CBWFQ), Weighted Random Early Detection (WRED), Hierarchical QoS, Policy-Based Routing (PBR), Performance Routing (PfR), and Network-Based Advanced Routing (NBAR).